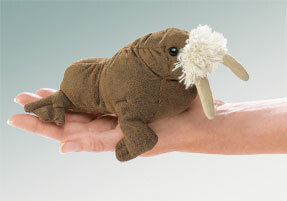 This mini Tusker will assert that he certainly is The Walrus with his little whiskers and tusks. Coo coo, kachoo. Measures 6" long.